Anyone who is into fashion knows all about Missoni. Missoni pride themselves as being a high-end luxury Italian designer, world renowned for their divine colourful zig-zag patterned garments. A-listers, celebs and fashionistas alike, croon over Missoni's new collections as they make their way down the runway each season. 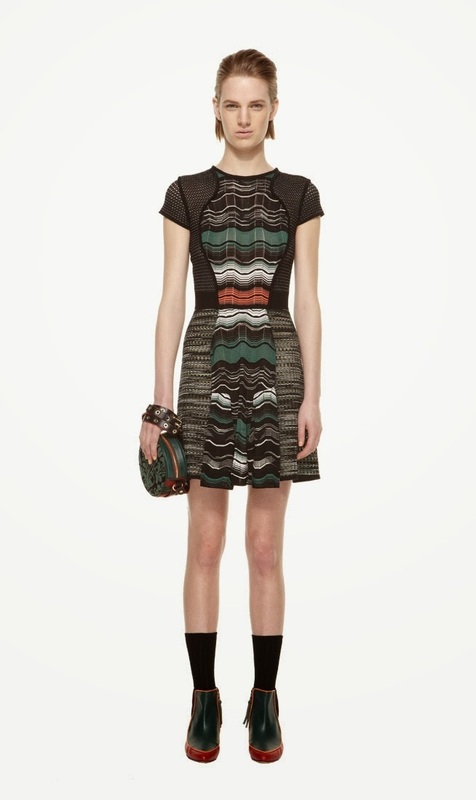 With that in mind, if it were possible to live in just one garment, I would choose to wear my new Missoni dress, from the M Missoni fall 2013 collection. It's hands down, my most treasured piece in my wardrobe. What's your most treasured piece in your wardrobe? Please leave a comment telling me all about it! I love receiving comments from you. Wishing those of you living in Australia, a very happy Australia Day for tomorrow, 26th January. We'll be enjoying a traditional BBQ lunch with friends which we're really looking forward to. What are your plans? Don't forget to follow me on Twitter and instagram. There is a giveaway on my blog, will you enter?